A mysterious boxer (famously called as "Asura") from the Philippines. He is currently managed by Mr. Sakaguchi. He is called the asura because he can easily change from southpaw to Orthodox with out his opponents knowing. 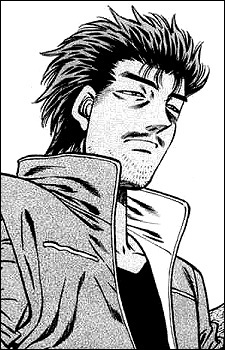 He is also the replacement when Miyata becomes injured due to a broken hand. He is also the son of the man who ended Ichiro Miyata father's boxing career. Randy was beaten by Miyata after what was undoubtedly Miyata's most intense fight up until that point. This angered his manager, Mr. Sakaguchi, into nullifying their contract. Without even paying attention to his manager, Randy accepted the outcome of his fate against Miyata and then decided together with his team to go home back to the Philippines.